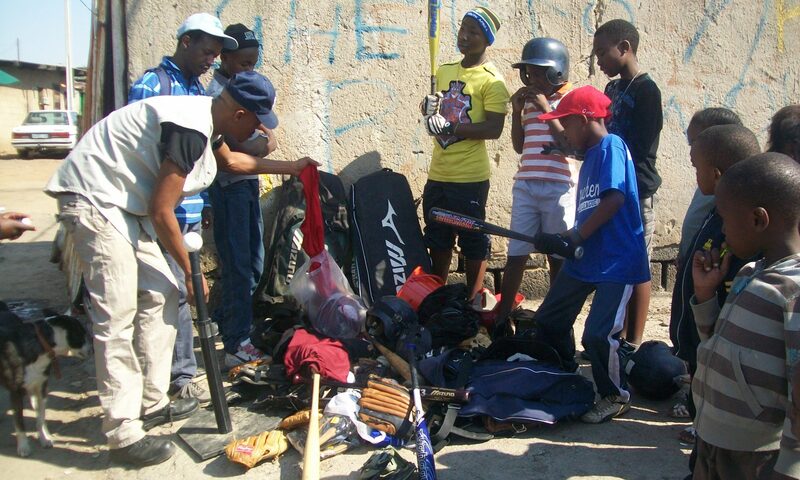 Welcome to Africa On Deck, our newly-founded nonprofit organization to support Alexandra Baseball and other clubs in Johannesburg, South Africa. We are excited to share our story about baseball that is not just about baseball. Please check out our fundraising link to learn about the many ways you can contribute to our cause. Africa On Deck was founded by a group of American expats to support baseball in the township of Alexandra near Johannesburg, South Africa. The story of Alexandra Baseball is as colorful as the township itself. It’s one of the poorest environments a child can grow up in, but it’s also one of the liveliest places on earth, full of energy, excitement, and pure joy of living. We invite you to learn more about life in Alexandra and how the game of baseball continues to thrive in one of the most unlikeliest places on Earth. To learn more about the founders of Africa On Deck, visit our Board Members page. To read up on the history of the Alexandra Baseball club from its founding to its accomplishments over the years, visit our Alexandra Baseball page.